Gold Coast Containers have been around and providing self storage for over a decade now. We have built our business around giving customers what they want, with a guaranteed best price on the coast. Our success has come on the back of referrals from satisfied customers as we always aim to provide great customer service whether you're in Ballina, on the Tweed, the Gold Coast or north to Brisbane. Having your self storage container delivered or picked up is a very simple process with us. It's the way it should be. All storage containers delivered on the Tweed or Gold Coast arrive on one of modern tilt trucks. Simply point out to our driver where you would like the container placed and it will be lowered into place where it will be most convenient and safe for you and your family. Now you can get down to packing and securing your valuable possessions. Standard: Our standard selection of containers includes choices of 10ft, 20ft and 40ft containers. 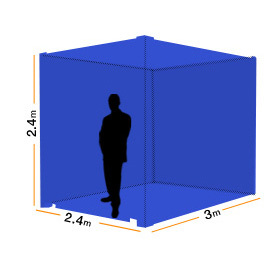 To extend the options available we can also provide containers with internal heights of either 2.4m to 2.8m. All containers have a security lock box fitted to protect the lock from bolt cutters, keeping your valuables safe from harm. Insulated: For your valuables that need a near constant cooler temperature like art pieces, media, electronics and wooden furniture we offer insulated storage containers that retain coolness during summer and maintain a stabilised temperature during the cooler winter months. Plumber Box: As the name suggests these have been designed with Plumbers in mind. 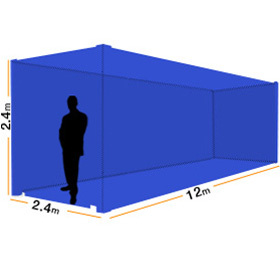 With some small alterations 20 foot shipping containers are perfect for storing 6 metre lengths of pipe with shelving to keep them off the ground and well organised. These are frequently used by retailers as their wooden floors, shelving, ease of transportation and abundance of space lend themselves perfectly to retail needs. Finally all our containers are no older than 3 years and are clean, pest free, have wooden floors and are in great condition. For more information or simply some help and advice on storage container hire or sales give us a call on 07 5534 7181. Otherwise send your enquiry via our contact form.